The heinous crime of burning to death the one-and-a-half year old baby Ali Dawabsha in an Israeli settlers’ arson attack outraged the Palestinians who expressed their indignation and anger over this despicable crime and called for giving the Palestinian resistance a free hand to respond to Israeli brutal crimes. The innocent toddler died after sustaining serious burns while three members of his family were in critical condition at dawn Friday after a group of terrorist settlers from nearby settlements threw Molotov cocktails and flammable materials at two homes belonging to Dawabsha family in Duma town south of Nablus, said the local activist Ghassan Daghlas. The extremist settlers sprayed racist slogans on the walls, before they ran away, reading "Messiah revenge" and "Long live revenge" in Hebrew. Ahmad Dawabsha, a relative of the killed baby, told a PIC reporter that Palestinian citizens rushed to extinguish the fire after hearing the family crying for help and the ambulance crews could save three members of the family but the baby was already burned to death and his mother, his father, and their son Ahmad, 4, were left critically wounded. Suhad Mustafa, a student at al-Najah University, said that the Palestinian Authority (PA) is responsible for these Israeli crimes; as it is protecting the settlers and preventing the resistance from defending the Palestinians. release the resistance members and political captives in response to this crime. The political analyst Prof. Abdul Sattar Qassem said that if the terrorist settlers were punished for their crimes, they wouldn't have dared to commit such criminal acts, and asked the PA to end the security coordination with Israel and political detention of activists. Many families from Duma town held the PA responsible for the murder. "When a settler is arrested, he is handed dignified and honored to Israel but when a Palestinian carries out an operation against settlers, he is arrested by the PA," Hilal Mahmoud from Duma town said. In a weird conjunction with the settlers' crime, PA security apparatuses at dawn Friday wreaked havoc on Baraa's family home, the son of the Palestinian martyr Yahya Ayyash. "Seven patrols of the PA Preventive Forces broke into our home today at 1 a.m., searched it, and summoned Bara'a for investigation," Baraa’s mother said. Minister of Justice Counsel Saleem Saqa Friday announced the results of 18-month-old Ali Dawabsheh’s postmortem report, which confirmed the toddler was alive when burnt to death.In a press statement, Saqa reported soot had been found in Ali’s respiratory canal, which meant he had inhaled this material while he was burnt alive. The toddler’s body was charred and his features were indistinguishable. Parts of his ribcage and lung were melted and charred. The cause of death as revealed by the autopsy report is severe fire burns and their complications. Saqa described the killing of Dawabsheh as heinous and is the result of the Israeli government’s far-right policy that supports settlers and their terrorism, settlements’ expansion and incitement against Arabs, which lead to increasing violence and tension in the region. The minister had ordered the forensic crew to investigate the killing and determine the cause of death in order to document the crime and take the appropriate legal steps at international forums. He called on Palestinian families to cooperate with forensic teams to be able to carry out their work in performing autopsy, which helps document such cases and assists in filing lawsuits and trying the criminals. Israeli settlers killed Ali and seriously injured his entire family, during an attack that targeted two homes in the village of Duma, south of Nablus. Ghassan Daghlas, a Palestinian official who monitors settlement activities in the West Bank said Israeli settlers from nearby illegal settlements deliberately started the arson. The baby’s father, Sa’ad Dawabsheh, his mother Riham and his 4-year-old brother Ahmad sustained third degree burns and were transferred to several hospitals in the city of Nablus to receive immediate medical care. Before being transferred again to hospitals in Israel. Daghlas said a group of masked people, most likely settlers, attacked the two homes closest to the village’s entrance. They smashed the window of the bedroom in one house and tossed a firebomb inside, burning the premises and killing the toddler. UN envoy to the “Middle East Peace Process” Nicholai Mladinov denounced the latest Israeli crime against a Palestinian family in the occupied West Bank, leaving an18-month old infant dead, and his family seriously injured after Israeli extremists firebombed their home as they slept. He added that the crime carried a political motive, and demanded Israel to apprehend the killers who attacked the family with firebombs, and wrote “revenge” graffiti. He also and expressed his condolences to the family. Palestinian President Mahmoud Abbas also denounced the attack, and said the Israeli government is fully responsible for this crime. Presidency spokesperson, Nabil Abu Rodeina said, "the crime would never have happened without Israel’s protection of criminal fanatic settlers, and its ongoing construction and expansion of illegal settlements." The Hamas movement also issued a statement calling for "a proper retaliation to this crime," adding that the Israeli government is fully responsible due to its "ongoing violations, crimes and encouragement to the fanatic Israeli colonizers." It added that "this crime calls for a suitable retaliation," and that "the Israeli occupation soldiers and the settlers are legitimate targets for the resistance, at any given time, or place." "The occupation and its settlers are a legitimate target at any time or place," Hamas spokesperson in exile Husam Badran said, "Those killers will never stop without a suitable retaliation." The leftist Palestinian People Party (PPP), the Popular front for the Liberation of Palestine (PFLP), and various political parties also denounced the latest Israeli crime. In a statement, the PPP said, "the brutal crimes against the children of Palestine are part of the ongoing crimes against the Palestinian people," and called for more "popular resistance against the occupation and its illegal colonizers." 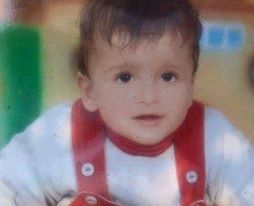 On its part, the PFLP said "the Israeli crime in Nablus, and the death of the Palestinian infant, who was burnt to death, is a serious escalation, and a crime that requires all Palestinian factions to escalate their resistance against the occupation." "The ongoing, ugly crimes against the Palestinians, especially the children, are part of this Israeli terrorism," the PFLP said, "Those are organized crimes; they never stopped and will continue to escalate." Fateh movement spokesperson Ahmad Assaf said the Israeli government of Benjamin Netanyahu is directly responsible for this ugly crime. Assaf added that Israeli government officials and senior leaders of Israel’s illegal settlers’ movement, especially those who hold government positions, never ceased their incitement against the Palestinian people, "and the bloody outcome witnessed earlier today is a direct outcome of those policies." He further stated that the International community, and the International Criminal Court, "are now facing a real test; they either side by justice, act on prosecuting the criminals and end the Israeli occupation, or remain silent and declare their siding with terrorism." Israeli Prime Minister Benjamin Netanyahu said he was "shocked by the criminal act," and described it as a terrorist attack. He added that he has "instructed the security forces to use all available means to bring the killers to justice." Israeli Defense Minister said Tel Aviv "would not allow "Jewish terrorists to commit such crimes", Israeli Ynet News said. The situation of the Dawabsha family members, who sustained serious burns during a settlers’ arson attack, continues to be very severe, Israeli medical sources said. Earlier Friday, a Palestinian toddler was burned to death while three of his family members were injured after a group of settlers deliberately started fire in two homes in Duma town south of Nablus. The mother is suffering from third-degree burns over 90 percent of her bodies. Doctors say that her life is still in danger and that she has been transferred to the intensive care unit. The child has second-degree burns over 60 percent of his body. He is sedated and on a respirator. The father is in a critical condition suffering from third-degree burns over 80 percent of his body. Professor Yossi Haik, director of the national center for the intensive care burn unit at Sheba Medical Center gave an update on the condition of the wounded in the Jewish attack in Duma. "The mother underwent initial stages of resuscitation and stabilization in the emergency trauma room. This is a very serious injury with 90% of third-degree burns all over her body. Her life is still in danger." Hayek added that the 4-year-old brother of the baby who was killed is currently undergoing the early stages of resuscitation. 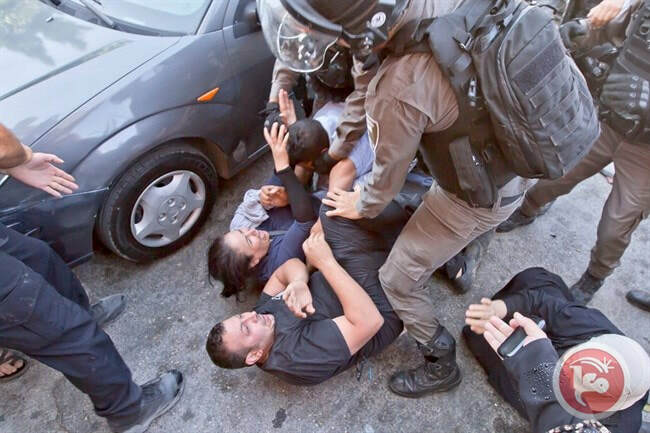 Hospital in Be'er Sheva, and he is sedated and receiving artificial respiration. He is suffering from burns to about 80 percent of his body. The EU urged Israel Friday to show "zero tolerance" on settler violence after an arson attack blamed on settlers in the occupied West Bank, in which a Palestinian toddler died. "The Israeli authorities should ... take resolute measures to protect the local population. We call for full accountability, effective law enforcement and zero tolerance for settler violence," a spokesperson for EU foreign affairs head Federica Mogeherini said. The Israeli occupation army declared a state of alert across cities of the West Bank and Occupied Jerusalem on Friday as Palestinian angry masses launched calls to take to the streets, moments after Israeli settlers burned a one-year-old baby to death. Israeli media outlets said large troops of the occupation army were deployed across the West Bank and Occupied Jerusalem following the attack. A series of makeshift roadblocks was also pitched in Nablus city in anticipation of simmering confrontations with Palestinian protesters. A Palestinian toddler was burned to death and three members of his family were left wounded following an arson attack by a horde of extremist Israeli settlers on the family’s home in Nablus’ southern town of Duma. Hamas Movement called for “an appropriate response” to the killing of a Palestinian toddler and the injury of three of his family members early Friday at the hands of Israeli settlers in Dura town south of Nablus. Spokesman for the group Houssam Badran held the Israeli government "fully responsible" for the death of a Palestinian toddler in an arson attack by "creating a culture of hate and incitement" against Palestinians even those who are at an early age. Such heinous crimes would only increase resistance operations against Israeli settlers and forces at any time and everywhere, he said. Hamas’s spokesperson called on Palestinians in the West Bank to take to the streets in defense of al-Aqsa Mosque and in protest against the settlers’ arson attack. He also called on the PA to stop persecuting resistance elements in the West Bank and to immediately release all political detainees. Along the same line, Fatah movement considered, in a statement issued following the arson attack, the burning and killing of a Palestinian toddler as a crime against humanity. "We hold the Israeli government headed by Benyamin Netanyahu fully responsible for the brutal assassination of the toddler Ali Saad Dawabsha," the statement said. The statement pointed to the recent settlement approvals by the Israeli government. Earlier Friday, a Palestinian toddler was burned to death and three members of his family were left wounded following an arson attack by a horde of extremist Israeli settlers on the family’s home in Nablus’ southern town of Duma. Right-wing Jewish extremist settlers near Nablus firebombed a Palestinian home on Thursday night, starting a fire which destroyed the house and burned a baby to death, as well as severely burning the baby's four-year-old brother, mother and father. The baby who was killed in the attack was about 18 months old. He was identified as Ali Saad Dawabsha. The attack took place at about 2:30 in the morning, in the village of Douma, in the northern part of the West Bank near the city of Nablus. The Israeli fanatics arrived in the dead of night in the village, and began by spray-painting hate slogans against Palestinians on the Dawabsha family home. They then broke a window and threw a firebomb inside, setting off the fire that killed the baby. The graffiti, written in Hebrew, included the phrase 'price tag', which is a slogan used by right-wing Israeli extremists against Palestinians - the reference being that continued Palestinian existence in the Israeli-occupied West Bank would exact a price from the Israeli colonizers. Although the Israeli military spokesperson issued a 'tweet' on his Twitter account that this was a "barbarous act of terrorism," the army has not issued an official statement, and the perpetrators have not been found. The Father Sa’ad Dawabsha, the mother Reham, 37, and their child Ahmad, four years of age, have been seriously injured in the attack. Sa’ad’s home was completely burnt, while the home of Ma’moun Rashid Dawabsha was partially burnt. Resident Musallam Dawabsha, 23, told the Maan News Agency that his family saw four Israeli fanatics running away towards the Ma'ale Efrayim illegal Israeli colony, built on stolen Palestinian lands near the village. He added that a young woman, who lives near the Dawabsha home, saw the extremists hurling the firebombs into the home before fleeing the scene. Palestinian and international human rights groups have documented on multiple occasions the relative impunity of Israeli settlers who attack Palestinian civilians. Very rarely do the cases result in an arrest, and prosecution of the perpetrator is even more rare. Abbas: "Israeli Government Must Be Held Accountable for Baby’s Death In Nablus"
The office of Palestinian President Mahmoud Abbas issued a statement condemning the criminal Israeli attack against a Palestinian home, near the northern West Bank district of Nablus, leading to the death to a Palestinian baby who was burnt to death, while his mother, father and 4-year old brother were seriously wounded with third degree burns. The attack was carried out against a home in Douma village, in the northern West Bank district of Nablus. The assailants hurled firebombs into the home, completely burning it, wrote racist graffiti in Hebrew, including revenge, and Price Tag, and fled towards the Ma'ale Efrayim illegal Israeli colony, built on stolen Palestinian lands near the village. 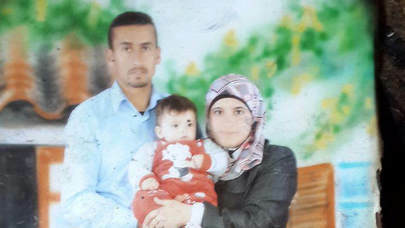 The baby who was killed in the attack was identified as Ali Saad Dawabsha, 18 months of age, while the Father Sa’ad Dawabsha, the mother Reham, 37, and their child Ahmad, four years of age, were seriously injured in the attack. Palestinian Presidency spokesperson, Nabil Abu Rodeina, said "the crime would never have happened without Israel’s protection of criminal fanatic settlers, and its ongoing construction and expansion of illegal settlements." Abu Rodeina added that the silence, and idleness, of the International Community, to such crimes and the absence of accountability to the ongoing and escalating Israeli violations "have led to this crime, the burning to death of the Palestinian child, similar to what happened with Mohammad Abu Khdeir." The official also said that this criminal attack would have a high priority in the list of files that would be presented to the International Criminal Court. Two houses set ablaze in West Bank; parents and four-year-old hospitalized; 'price tag' graffiti found; IDF searching for perpetrator; thousands of troops deployed for fear of riots as Hamas plans 'Day of Rage'; PM condemns 'clear terrorist attack'; Abbas: We will take this war crime to the international courts. A fire in the West Bank suspected to have been set by Jewish extremists killed an 18-month-old Palestinian child and critically wounded a four-year-old brother and both parents on Friday, Israeli security officials said. The walls outside the houses were sprayed with "Long live Messiah the king" and "Revenge ". The parents and brother were evacuated to the hospital in critical condition, with burns covering up to 70 to 90 percent of their bodies. The IDF set up checkpoints and beefed up searches in the Nablus area in attempts to locate the Jewish terrorists who carried out the attack in Duma. Hamas had already declared Friday a "Day of Rage" following clashes at the Temple Mount, and tensions are now sure to rise. Husam Badran, a Hamas international spokesman, called on residents of the West Bank to take to the streets and protest the infant's death, and to demonstrate to "protect al-Aqsa". He also urged the Palestinian Authority to release all political detainees, saying: "There is no other way but resistance, in all its components, in order to halt the crimes of the occupation." Public Security Minister Gilad Erdan said in the afternoon that the police force was at its highest alert level to prevent disturbances. He added that "a people whose children were burned in the Holocaust needs to soul-searching at a time like this." IDF spokesman Brigadier General Moti Almoz said: "We sent four battalions as a first response. Two divisions are on alert to be sent to the area as this is an incident that may affect the security situation. The amount of forces sent out is designed to be ready for any possible local events, including at the Temple Mount." At around 2am, two attached houses located at the edge of the village were set on fire. The Dawabsheh family were in one house, while the second one was empty. The Dawabsheh family were awakened by the fire and tried to save their two children, aged one and a half and four. According to a witness, the mother took the four-year-old out of the house as it caught fire, then returned for the infant. However, she was trapped in the flames and could not save him. Ghasan Gaghlas, a Palestinian official from the area, said Jewish settlers broke the window of the house and flung a burning object inside, "causing a quick and huge fire." A neighboring house was also badly damaged but it had been empty and there were no casualties there. The three wounded people from the first house were taken to Israeli hospitals, officials said. Professor Yossi Haik, director of the intensive care burn unit at Sheba Medical Center, said the wounded were in severe condition. "The mother underwent initial stages of resuscitation and stabilization in the emergency trauma room. This is a very serious injury with 90 percent of third-degree burns all over her body. Her life is still in danger." Hayek added that the 4-year-old was had received resuscitation measures. Police spokeswoman Luba Samri said the "Price Tag" slogan used in the past by extremist Israelis was daubed on the walls of the family home that had been torched in a village near the West Bank city of Nablus. "This is a suspected attack with nationalist motives," Samri said. It was the worst attack by Israeli extremists since Palestinian teen Mohammed Abu Khdeir was torched to death in a retribution slaying for three Israelis killed by abductors a year ago. Condemnations came swiftly, with IDF spokesman Lt. Col. Peter Lerner calling the incident "nothing short of a barbaric act of terrorism." Prime Minister Benjamin Netanyahu said: "I am shocked by this horrible criminal act. This is a clear terrorist attack. Israel takes a tough stance against terrorism regardless who the perpetrators are. I have instructed the security forces to use all means at our disposal to capture the killers and bring them to justice as soon as possible. Israel is united in its opposition to such terrible and heinous acts. On behalf of the citizens of Israel, I would like to commiserate with the family of Ali Dawwabshe and wish a speedy recovery to the injured family members." Defense Minister Moshe Ya'alon said Israel would not allow "Jewish terrorists" to carry out such acts. "We will not allow Jewish terrorists to harm the lives of Palestinians in Judea and Samaria," he said in a statement, referring to the West Bank by its biblical name. "We will fight against them firmly and with all means and tools at our disposal." Ya'alon branded the attack "a most severe terror attack that we cannot tolerate, and we condemn it entirely. At this time, security forces – the IDF, Shin Bet, and police – are making a supreme effort to capture the killers. We will pursue them until we get our hands on them." Zacharia Sadeh of the Rabbis for Human Rights organization, told Ynet that the group was had always feared that an arson attack would cause deaths. "This is an extremely serious incident in which the Palestinians paid a very high price as a result of Israeli authorities' incompetence," he said. "We call on the defense minister, the police, and the Israeli army to find the criminals and bring them to justice, because the lives of the Palestinian citizens are Israel's responsibility." Images using hashtags that blamed Israel for the attack began circulating online on Friday. One read in Arabic: "Oh Zionists! The anger of the West Bank is on its way! The child Ali Dawabsheh #Angry Friday #They burned the suckling", with another using the last hashtag as well as the hashtag "#WasBurnedAlive" in English. Palestinian President Mahmoud Abbas compared the crime to the 2014 murder of Abu Khdeir. "This is another crime committed by the settlers and the Israeli government," declared Abbas. "The Israeli government continues to build settlements everywhere in the West Bank, and thus encourages settlers to commit these acts. We condemn the Israeli crimes – this is a war crime and a crime against humanity. We will take this to the International Criminal Court and no one will stop us from doing so. We demand that the world act. What does the United States think of these crimes? We don't hear from it. If the Israeli government and the Israeli military wanted to prevent these incidents, they could prevent them." The Palestinian Authority placed full responsibility on the Israeli government for the crime, calling it a heinous crime. "Were it not for the Israeli government insisting on continuing to build settlements and protecting the settlers, this crime would not been committed." "This case will head the list of issues that the Palestinian Authority will submit to the International Court of Justice in order to bring all those involved in the crime to justice. Verbal condemnation from the international community is not acceptable. What is needed is action on the ground that will judge the criminals and end the occupation." The Islamic Jihad organization also issued a statement. "This crime, as well as similar crimes committed by settlers, were committed with the support and protection of the Zionist military forces and advanced by the occupation's government," it said. "This crime is part of a planned escalation of the occupation in the context of the announcement of new settlements being built. We are facing an increase in aggression against residents' property and damage to holy places. The settlers' terrorism and the occupation's military will encounter Palestinian willpower, which will never agree to surrender. He who incites to kill our people, damage our property, and burn the houses and the mosques – must expect a response at any moment." The "Price Tag" group has been blamed for a string of mosque torchings in the West Bank in the past few years, often in retribution for actions against settlements.